Saint-Lary is a lively resort offering the latest in leisure facilities against a backdrop of stone, slate and woodland. Snow-covered in winter, glorious in spring, sun-drenched in summer and balmy in autumn, Saint-Lary has something to offer all year round. Waters containing sulphur and sodium, a well-preserved valley and a privileged climate make Saint-Lary a sought-after spa for its thermal and climatic properties. The Pyrenean thermal springs are well renowned. Saint-Lary's facilities include skiing (with 90 kilometres of pistes), ice-skating, snowshoe hire, hiking, climbing, tennis, golf, a sports hall, paragliding, swimming, mountain biking, horse riding, water sports, angling, indoor thermal spa, museum and much more. Picturesque town centre with wide variety of restaurants, shops, takeaways and bars. There are a number of restaurants, bars and cafés - on the slopes and in the village itself - providing drinks, hot food and snacks. Typical French cuisine is also sold on the pavement side to take away, if eating in isn’t your thing. Lovers of good food will also be content in Saint-Lary: Here they really know how to create a great atmosphere around a restaurant table or whilst enjoying a drink with friends. Saint-Lary ski resort is certified ‘Family Plus' by the French authorities and is committed to providing for the whole family. Try the local speciality, Garbure. Somewhere between a soup and a stew based on duck, ham and cabbage, this is a dish to keep energy levels high for the afternoon! Just a stone’s throw from the Saint-Lary village within walking distance in the heart of some magnificent parkland, the Saint-Lary thermal baths combine high-tech facilities with comfort. The thermal spa is now exclusively dedicated to health cures. It was modernised in spring and equipped with all the latest innovations. 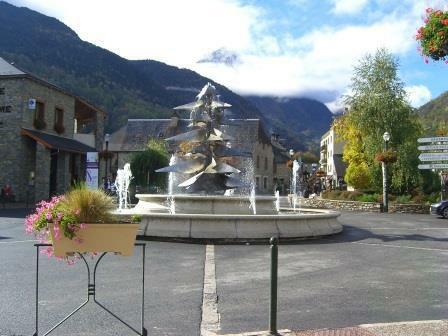 Saint Lary is also a popular destination for relaxation lovers and well-being. A few steps from the village in the heart of a beautiful landscaped park, the Saint-Lary thermal baths combine technicality and comfort. The spa is now exclusively dedicated to the treatments rheumatology, ENT and respiratory systems. What a pleasure to find yourself there after a day of skiing. Be truly pampered at Sensoria where you can find all the necessary activities; gym, beauty, massage, thermo. Waters containing sulphur and sodium, a well-preserved valley and a privileged climate make Saint-Lary a sought-after spa for its thermal and climatic properties. 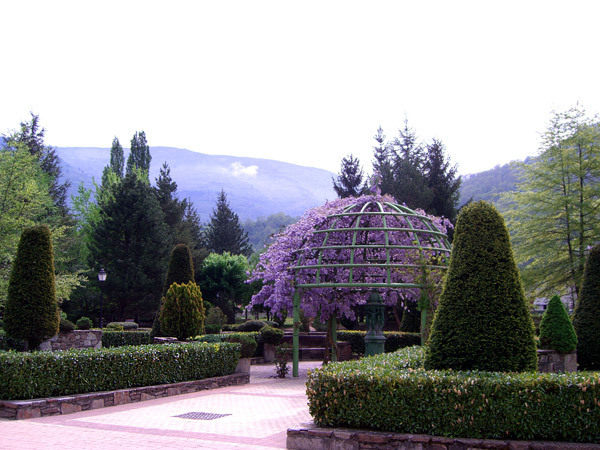 The Pyrenean thermal springs have been renowned since Antiquity. The Thermal baths are supplied by the Garet Springs, rich in sodium chlorides and silicon dioxide. The waters have a high oligo-metallic content but low mineralisation. They also have a slightly alkaline pH.